Since 2000, at least 80 workers have died at “model workplaces” OSHA considers the nation’s safest, and which it exempts from some inspections. In 47 of these cases, inspectors found serious safety violations and, sometimes, tragedies that could have been averted. Even when workers die and inspectors find safety violations, “model workplaces” often face minimal consequences and retain the special designation. At least 65 percent of workplaces where a fatal accident occurred remain in the “Voluntary Protection Programs” today. Though OSHA has targeted dangerous industries for special enforcement programs, “model workplaces” are exempt from even these inspections. Over four years, at least seven people have died in one of these hazardous industries facing added scrutiny: oil refining. Two arms of OSHA — one that elicits cooperation with industry, the other that enforces the law — sometimes reach strikingly different conclusions about the same workplace, highlighting a fundamental tension within the agency charged with protecting the nation’s workers. Some deaths are missing from an OSHA database meant to track fatal accidents at “model workplaces.” Missing entirely are fatalities at sites overseen by regulators in 21 states that run their own versions of the federal program. 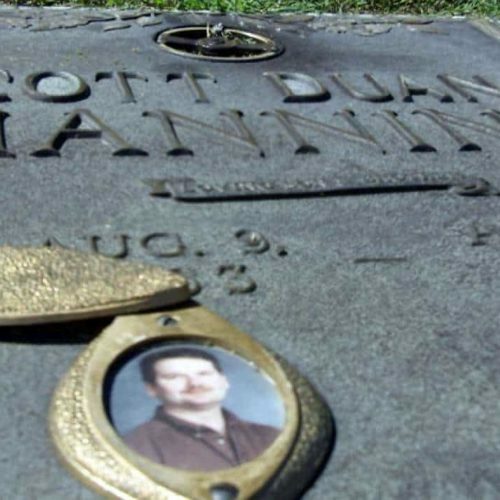 When Wanda Manning arrived at a hospital in Kingsport, Tenn., on March 29, 2004, she found her son, Scott, in a coma. Leaking equipment at the chemical plant where he worked had released hot, toxic vapors in his face. The accident was the result of a series of errors and oversights, from installing equipment upside down to failing to run a key safety check. Scott hadn’t known about any of this; he was just unlucky. That night, Wanda overheard the name of one of the chemicals Scott had inhaled: methyl iodide. Quickly, she researched the substance. Even before the doctors told her the next day, she knew her son was going to die. What she didn’t know until weeks later was that the plant where Scott worked — the flagship facility of Eastman Chemical Company — was a member of an elite club of sites deemed exemplary by workplace safety regulators and exempted from regular inspections. The federal Occupational Safety and Health Administration allows Tennessee, along with 20 other states, to run Voluntary Protection Programs, or VPP, as a way of encouraging adherence to safety rules. As difficult as it has been for regulators and auditors to determine whether the program is working in the 29 states overseen by the federal government, the picture in the states is even murkier. As the Center for Public Integrity’s iWatch News has reported, more than 80 workers have died since 2000 at federally overseen VPP sites. OSHA keeps a database of these deaths, though the agency recently acknowledged it was incomplete after iWatch News identified additional deaths. But no comparable list tracks fatal accidents at VPP sites in the remaining 21 states. The dividing line between state and federal oversight, along with OSHA’s policy of viewing each VPP site in isolation, makes it more difficult for the agency to detect problems that may exist at more than one workplace because of broader issues in a company or an industry. Because of a combination of incomplete records and a lack of interest in monitoring state sites, for example, Eastman’s two “model workplaces” — the Tennessee plant and another in Texas, falling under federal oversight —appeared just once in federal OSHA’s database of VPP site deaths provided to iWatch News after an open records request. In fact, six workers died at the plants between 1998 and 2005. Concerned about the quality of some state-run workplace safety agencies, OSHA now conducts enhanced annual evaluations of each state agency. But these focus on the state’s enforcement efforts. When it comes to VPP, “We really don’t monitor that much,” said Jordan Barab, OSHA’s No. 2 official. As the experiment in cooperative regulation approaches its 30th anniversary, one of the most basic measures of how the program is working — the number of deaths — isn’t known. With some deaths inexplicably missing from the agency’s database and others not tracked by OSHA, it’s unclear how many workers killed on the job at “model workplaces” are, like Scott Manning, not even a number. Circumstances led Scott Duane Manning, like many others born and bred in hilly East Tennessee, to a job at Eastman Chemical Company. After years in the food service industry, he’d settled on a job at the company’s flagship plant in Kingsport, a town of roughly 48,000 near the Virginia border. A 900-acre mass of twisting metal and looming smokestacks that straddles the Holston River, the facility hums day and night, churning out products that end up in everything from paint to the coating of aspirin. The company was spun off from Eastman Kodak in 1994. The Kingsport plant opened in 1920, and the community’s economic fortunes now are largely tied to that of the plant and the roughly 6,600 jobs it provides. Chemical manufacturing has inherent dangers, but Scott and his co-workers enjoyed good pay and benefits — generally considered the best in town. He’d been happy to land the job. By 2004, after a decade at the plant, he’d become a computer operator. The promotion meant he was no longer regularly out in the more dangerous areas, working amid the hum and hiss of equipment harboring hot, toxic substances. That pleased Wanda. She and her son had become closer since her husband unexpectedly died from complications after surgery 18 months earlier. Scott had become more protective of his mother and two sisters. He called Wanda frequently and wouldn’t hang up without saying he loved her. Called in to work overtime on March 29, Scott wasn’t assigned to his normal job. The state’s inspection report describes what happened. He was back out in the plant, tasked with bringing a piece of equipment known as a heat exchanger back online. The exchanger, which had been idle for 10 months, heated chemicals used in the production process. This one, known as 22E-26, had undergone repairs throughout the previous summer. Manning knew none of this. When the exchanger was taken out of service, he’d been in Las Vegas, where he’d taken Wanda for her birthday. When Scott opened the valve that day, a mixture of acid and toxic gas heated to more than 240 degrees sprayed in his face. “Bad leak at E-26,” he radioed to the control room as he fled the building and made it to an eyewash fountain. Despite the initial concern with his eyes, the less obvious — and far graver — injuries were internal. The chemicals were attacking his lungs. For almost two weeks, his condition deteriorated. By then, his lungs had turned a purplish-red color, and all of his organs had started to fail. On April 9 — Good Friday that year — Scott’s mother, two sisters, ex-wife, one uncle and one stepson gathered in a room at the hospital in Kingsport. “One of the hardest things I ever had to do was … to tell the doctor that it was OK to turn off the respirator,” Wanda recalled. Scott Manning was not the first to die at a “model workplace” owned by Eastman. Fewer than 11 months earlier, another Eastman employee, Mark Mitchell, had been working in the hazardous waste incineration unit at the company’s Longview, Texas, plant — a participant in the federal VPP program. His job that day: transferring a mixture of waste containing a substance so volatile it bursts into flames on contact with air. The material leaked, and flames engulfed Mitchell. A federal OSHA investigator found that, had Eastman provided the proper protective suit — like one recommended by the company that supplied the dangerous chemical — Mitchell could have escaped the blaze and survived. As it was, emergency responders had to put out the fire before retrieving his badly burned body. Eastman contested the violation and the $4,500 fine. Robert Varner, a Dallas-based lawyer representing Mitchell’s family, wrote to lawyers in the Labor Department, which oversees OSHA. He’d heard that the agency was considering a settlement with Eastman that would reduce the severity of the violation inspectors had found. “Mark Mitchell’s family expects the federal agency charged with protecting him and others like him to do what is right: Stop the miscarriage of justice which will result if Eastman is allowed to settle this citation for something less than the serious violation that it was,” Varner wrote. He also noted the irony of the plant’s status as a “model workplace.” “Eastman has long promoted itself as an OSHA ‘Star’ worksite, yet OSHA found several very serious safety deficiencies which caused Mr. Mitchell’s death,” Varner wrote. He made two requests on the family’s behalf: Uphold the original penalties, and remove the plant from VPP. The agency did neither. In June 2004, it signed a settlement agreement, reducing the severity of the violation and cutting the fine in half to $2,250. Eastman agreed to take additional actions, including improving its hazard analyses and providing more training to some employees. From August 1999 to January 2000 at the Texas plant, two contract workers were killed. Both accidents involved the same contractor and similar circumstances: being struck by railcars. Neither resulted in OSHA citations for Eastman. Only one of the deaths appears in OSHA’s database of VPP site fatalities. Tennessee, which operates the Tennessee Occupational Safety and Health Administration, an OSHA-approved agency supported in part by federal funds, began its version of VPP in 1997. Eastman was one of the first companies to join. The deaths at Eastman’s “model workplaces” didn’t prompt additional scrutiny for the company or removal of either site from VPP. Tennessee officials were concerned only with the plant in their state, and federal officials had their hands full monitoring VPP sites under their jurisdiction as the program grew rapidly. Some of the money that states operating their own programs use to fund their versions of VPP comes from federal OSHA, and, though the state programs differ in some details, they are modeled on the federal program. Federal officials track the number of sites added in the states, but they do little else to keep tabs on how states are running their programs. By law, state-run workplace safety and health agencies must be at least as effective as federal OSHA. That may not always be the reality. OSHA began reviewing the effectiveness of each state agency in 2009 and concluded that some were deficient when it came to identifying hazards, issuing appropriate violations and following up on dangers after they were identified. A report released in March by the Labor Department’s Office of Inspector General found that OSHA didn’t know whether the states were truly as effective as federal OSHA. Sometimes OSHA’s lack of interest in the performance of state-monitored VPP sites overlaps with its general policy of viewing each “model workplace” in isolation, even when it is one of many owned by the same company. The agency does consider a company’s overall record in some contexts: It may inspect other plants owned by the same company if it suspects there could be similar dangers, or it might increase the severity of a penalty if the company has violated the same safety standard at another location. OSHA’s Barab said that, when it comes to assessing the effect of corporate-wide policies on individual sites, “It’s hard to generalize.” Corporate culture and policies might have a significant impact at all sites in some companies, while it might be far less important at other companies. Yet BP has seven sites deemed “model workplaces.” The majority, Barab noted, are on the Alaskan oil fields — areas not watched by federal regulators because Alaska runs its own program. Dave McMurray arrived at Eastman’s Kingsport plant on May 25, 2004. McMurray was the state’s most experienced inspector when it came to facilities using hazardous chemicals, and the state had called on him to investigate Scott Manning’s death. It was clear that it wouldn’t be an easy case. McMurray knew he was entering a company town — one where many residents have loans from Eastman Credit Union and shop at the stores on Eastman Road. He conducted more than 30 interviews with people at the plant, and Eastman’s lawyer wanted to be present during every one, he recalled. 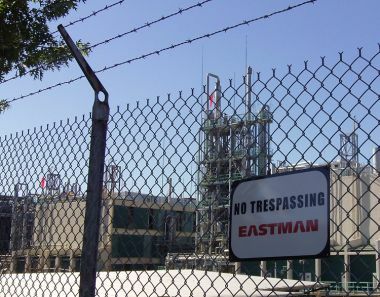 Eastman safety official Pete Lodal recently said the company routinely informs workers that they can have a lawyer or representative present but never forces one on them. From the start, Eastman told McMurray that blame lay with Fluor, the contractor whose workers Eastman said had improperly reassembled the heat exchanger that leaked toxic chemicals. Fluor, in turn, said it had not reassembled the heat exchanger, the state report notes. But to McMurray, the question of who botched the reassembly was secondary. The key point was that the error should have been caught by running a leak test, which was Eastman’s responsibility. McMurray’s four-month investigation identified a long list of safety violations, 27 in all. He found, for example, that Eastman hadn’t developed or implemented safe operating procedures, hadn’t performed appropriate equipment inspections, hadn’t documented steps taken to correct deficiencies identified in a self-audit, hadn’t put together an adequate emergency response plan and hadn’t provided proper training to some of its employees. The total proposed penalty was $76,000. As it had in Texas months earlier, Eastman challenged the case. The company enlisted a team of lawyers and experts, McMurray recalled. The agency was “in a quandary,” he said. It was outmanned and overmatched. 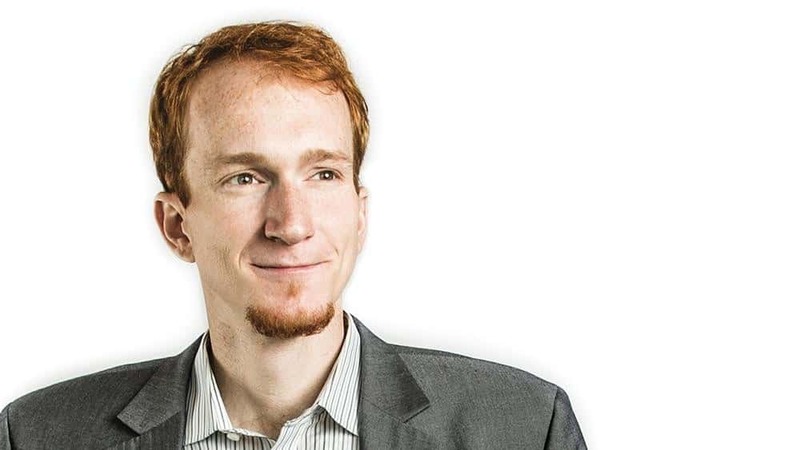 “For us to fight for the [initial violations] would have been a lot of time and a lot of resources,” McMurray said. So they settled. Lawyers for Eastman and the state signed an agreement, and about 80 percent of the violations McMurray had found were deleted from the company’s record. Eastman agreed to take corrective actions, and the company, which made a $557 million profit the previous year, paid a $50,000 fine. Lodal said the plant still deserved its “Star” status, and the accompanying exemption from regular inspections. “We apply a lot of resources to [safety],” he said. Wanda Manning also tried to find out more about her son’s death. She began collecting documents, phone numbers and addresses and talking with workers at the plant. She said that some told her they feared they’d lose their jobs if they talked to her. By 2006, she had essentially given up hope of getting answers to all of the questions she had about the leaking heat exchanger, about conditions in the plant and about the accident that had killed her son.